Eighteen people have been killed and many others injured in a fire at a sports centre in South Korea. 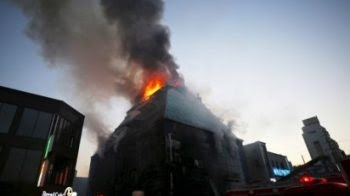 The fire, which started in the basement of an eight-storey building, occurred in the southern city of Jecheon. Footage showed dark plumes of smoke as the blaze, which has largely been extinguished, engulfed the property. Most of the victims were found in a second floor sauna. Officials say the death toll could rise as firefighters continue their search for survivors. As many as 60 firefighters attended the scene today in the city, 168km (104 miles) southeast of Seoul, they added. Heavy smoke continues to hamper the search and rescue operation, the authorities said.